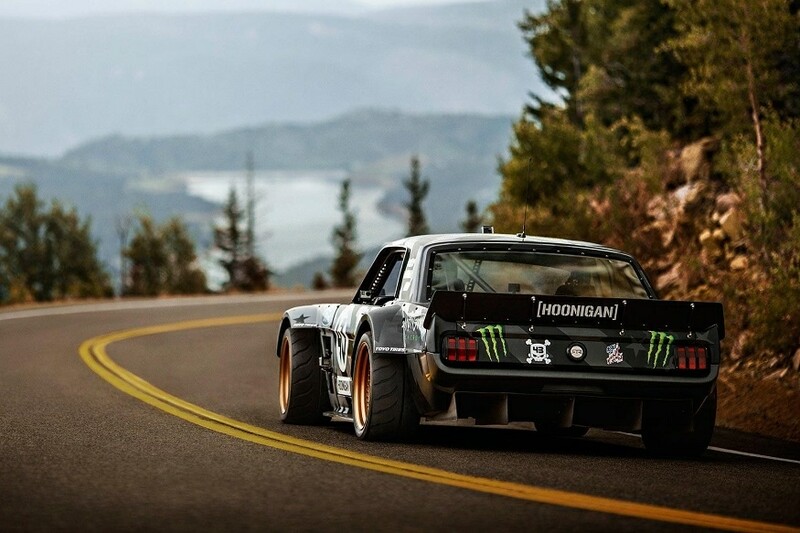 To tackle the extreme elevation along the way up Pikes Peak, Block needed more horsepower for his 1965 Ford Mustang Hoonicorn RTR. So, Hoonicorn V2 was born. Ken Block, the YouTube superstar known for his impressive Gymkhana series is back with the Climbkhana, in association with Toyo Tyrer. The all new concept is a hybrid of the driving showcased in the previous films, blended with a rally-road style attack on unique roads around the world. To kick off this new series, Ken Block chose what is arguably one of the most famous roads out there: The Pikes Peak Highway outside Colorado Springs, CO.
“When I was young, I caught the Pikes Peak International Hill Climb on TV once or twice,” said Block. “Even as a kid I remember dreaming about racing there some day because it looked so epic. Eventually I did, back in 2005, but it was in a Group N rally car which didn’t have much power up in that high and thin air. So, to drive it like I get to drive in my Gymkhana videos - and do it in the Hoonicorn with 1,400 horsepower - well, that truly is a dream come true!" Unfortunately, extreme engine builds and altitudes can prove challenging. Block and his crew experienced multiple production setbacks, having to go to the mountain on three separate occasions over 12 months due to both weather and development issues to be able to finish the film.